Spices are some of the most widely used condiments throughout the world. They are revered as a culinary enhancing item by chefs and nutritionists. They are widely used in traditional medicine to heal many diseases. Chinese medicine and Ayurvedic medicine are two areas where herbs and spices are widely used for their healing properties. One such spice used both for cooking and to make supplements is turmeric. Got from the curcuma longa plant, the rhizome or roots are ground to make turmeric spice. Turmeric root is part of the ginger family. It has a distinct flavor and color and is used to add zest to curries or soups. 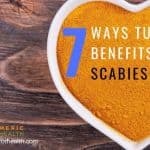 It has a warm, pungent and bitter flavor and is also used to flavor butter, cheese or mustard and to lend color to other dishes. Turmeric Spice – What is it used for? 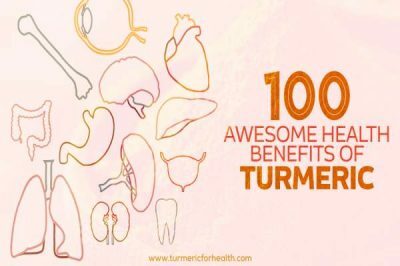 Turmeric Supplement – What is it used for? Apart from being used as a spice, turmeric root is ground and made into herbal supplements. 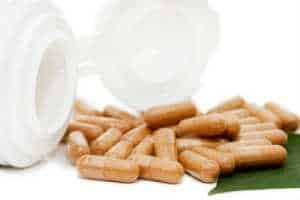 These days, turmeric supplements are used to treat a range of illnesses like arthritis, dyspepsia, bronchitis, lung infections, menstrual problems, skin problems, cancer and more. Turmeric supplements are made using curcumin – the phenolic compound which contains antioxidant properties. It must contain at least 95% standardized curcumin to offer therapeutic benefits. It must not contain preservatives or artificial colors, and must not have any starch, gluten or yeast. Turmeric spice contains manganese, iron, vitamin B6, fiber and potassium. It is used as food color in dairy products, confectionary, ice cream, beverages, cereals, sweet and savory products. In dairy, the banana or lemon colors of flavored milk or desserts are got from turmeric spice. 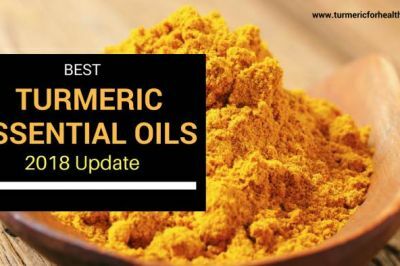 It is also added to pickles, relishes, dry mixes, sausages or fish products..
Oil from turmeric is used in the perfume and food industry for its flavor and coloring. Turmeric spice is also used to make milk or tea. 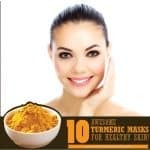 Turmeric spice is also widely used in the cosmetic industry. It has anti-inflammatory and antioxidant properties which can be used to treat and prevent various skin conditions like acne, eczema, excessive tanning, and stop premature aging. Turmeric paste is used to cleanse the skin and to achieve a glowing skin along with other ingredients like milk, lemon or honey. Simply apply a paste made using turmeric powder on the affected areas for a few minutes and wash off when dry. 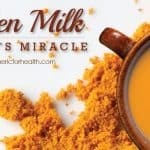 For minor ailments like sore throat or cold, a mixture of turmeric and milk can offer instant relief. It can also quickly heal wounds. Ayurvedic medicine uses turmeric spice for various ailments like urinary disorders, ulcers, liver conditions, high cholesterol, digestion, improve immunity, fight allergies, IBS, viral and bacterial infections and more. Eating turmeric enriched foods can reduce the risk of children developing childhood leukemia. Some of these and other diseases can be prevented or the risk reduced by including turmeric spice in food on a regular basis. Apart from just benefits, personally I love turmeric’s colour and taste in my curry. Just amazing! Curcumin is the main pharmacological agent found in turmeric. This has been used to make health supplements and numerous studies have been conducted on its various therapeutic benefits.
. Hence it is effective in treating inflammatory conditions like inflammatory bowel disease, rheumatoid arthritis, cystic fibrosis etc. 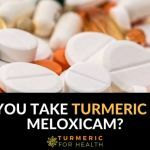 Since it does not cause serious side effects like ulcer formation, intestinal bleeding or decreased WBC, turmeric supplements are safer to use than conventional medications. 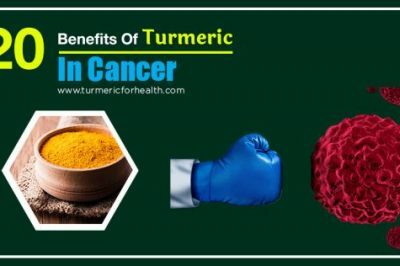 Epidemiological studies have also found that curcumin has antioxidant properties which can protect the body from cancer cell growth by preventing tumor cell formation. Hence, it can be used to treat colon, breast, prostate and lung cancer. 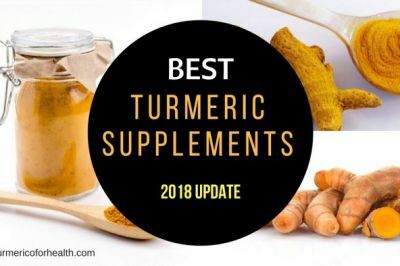 Turmeric supplements also help improve functioning of the liver, lower cholesterol, offer cardiovascular protection and reduce the risk of Alzheimer’s disease. The body is sometimes unable to use curcumin to its full potential due to its low bioavailability. Hence, it is often combined with other chemicals to improve its bioavailability. Quercitin is an antioxidant in onions. 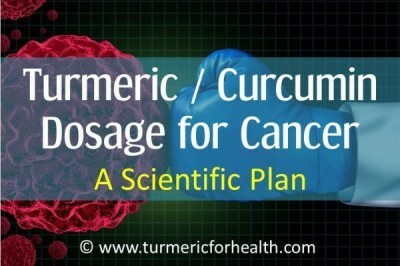 This can be combined with curcumin from turmeric to prevent colon cancer. Curcumin and another phytonutrient – phenethyl isothiocyanates – found in cruciferous vegetables like cauliflower, cabbage, broccoli etc., can be combined to halt the progression of prostate cancer. Bromelain is a chemical found in pineapple. This is often combined with curcumin to improve its anti-inflammatory benefits and absorption levels. Piperine is a chemical found in black pepper. This is also added to curcumin to enhance its bioavailability and absorption. As far as dosage is concerned, turmeric spice used in food does not cause any side effects. However, you must regulate the number of turmeric supplements which you use. These supplements are available as tablets, tincture or fluid extract. 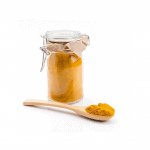 The dose of standardized curcumin powder is 400-600mg thrice daily; cut root – 1.5-3g daily; fluid extract – 30-90 drops daily; tincture – 15-30 drops daily and dried, powdered root – 1-3g daily. Turmeric spice does not cause any side effects. 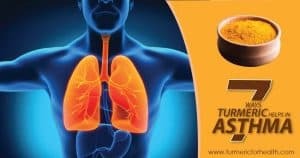 When turmeric supplements are taken within appropriate doses by adults, there are usually no side effects.
. Special precautionary warnings are issued to pregnant and breastfeeding women, diabetic patients and those with gallbladder problems or GERD to avoid turmeric supplements for its effects are not known. Anyone taking anticoagulant medications must avoid these supplements since it can increase bleeding. Stop taking turmeric supplements two weeks before a surgery. 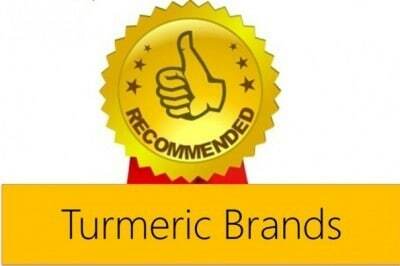 When choosing turmeric spice or supplements, it is important to choose the right product. 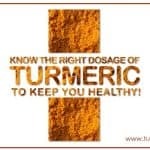 Turmeric supplements especially must be made using standardized extracts of > or = 95% curcumin. Make sure the company you purchase the supplement from follows GMP (good manufacturing practices). If you purchase a product which does not have enough of the active ingredient, you will not get any benefits. As we see, both turmeric spice and supplements offer various benefits. While the therapeutic benefits of turmeric are got more from the supplements, we can also experience more side effects with it if taken in excess. Turmeric spice used in food is safe but must be consumed in sufficient quantities to offer benefits. For anyone who does not like the taste of turmeric in food, they can go in for supplements. If cost is an issue, then you may need to opt for turmeric spice since it is cheaper than using turmeric supplements. So, the choice is really up to each individual. However, anyone with a medical condition or taking a specific drug must consult a doctor before using turmeric spice or supplement. On a personal note, I feel it is better to take turmeric as a spice and make it part of food as we use salt etc. This ensures one has turmeric regularly and without any risk of overdoes etc. Can you open the supplement to use the powder into milk or on food? Hi Brenda. Turmeric works as antioxidant and its active ingredient, curcumin has iron chelating properties that means it binds to excessive iron to form a complex that is excreted from the body. 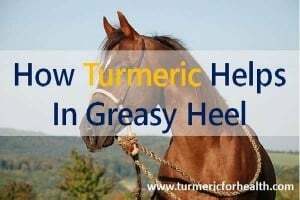 Those are the main ways by which turmeric benefits in hemochromatosis. Yes but what is the best bioavailable form to take because capsules tend to contain toxic levels of EDC due to the processing. No one knows which manufacturers process with the safe method (Co2 etc) as the majority is done in China. Is taking a tincture more bioavailable or do one have to undergo buying the spice from supermarkets and eating it in huge quantities like half the bottle a day i a shake. Is it better to buy Curcumin straight or Turmeric, because the active ingredient in Turmeric is Curcumin – strange. What is the best method to do in today’s time. I need to fight disease – any help much appreciated as too much informtion left right and centre and imporant information like toxicity from EDC and best bioavailable methods left out in various post. Great questions Kim. 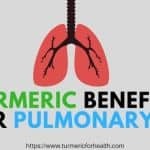 I am also interested to know if it’s best to buy Curcumin or Tumeric powder at the grocery store and how much to take (I was doing a pinch with ginger and cinnamon powder, lemon and honey in hot water every evening). And not if if just buying the power at the grocery store provides the best absorption and will be the most effective vs taking a supplement. If it’s best to take a supplement, I am interested to know what brand is best. Great article! Look forward to hearing your thoughts. 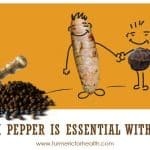 You can find our recommendations on turmeric powder on http://www.turmericforhealth.com. Else you can opt for good quality organic turmeric powder. 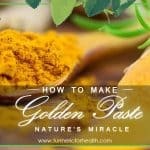 The best way to take it, keeping its absorption in mind, is Golden Paste. Black pepper and oil aid in increasing the absorption. You can start with 1/2 tsp a day and increase 1-2 tsp 2-3 times a day or how it suits you. 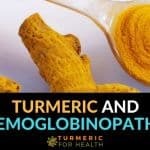 We recommend taking turmeric powder over supplements since its safe for long term and provides more than just curcumin. Supplements are advised only in certain conditions where high concentrations of curcumin are required or if advised by doctor. The best way to increase turmeric’s bioavailability is to combine with black pepper and oil. Golden Paste incorporates the two. The active ingredient in turmeric is curcumin but there is more to turmeric than curcumin which is why it is advisable to use good quality organic turmeric powder. 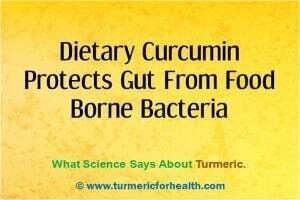 It is a better alternative to eating raw turmeric in large amounts to obtain same amount of curcumin. Also turmeric in diet is safe on long term basis. Unless you suffer from a condition that requires high concentrations of curcumin, we always recommend turmeric powder and Golden Paste. So what would the sufficient quantity be for therapeutic results when not taking in supplemental form, but just adding to diet?